Albert Tsai is moving from one family sitcom to another. Deadline reports the Dr. Ken star will be a series regular on CBS’ upcoming TV show 9JKL. The multi-cam sitcom is “inspired by a time in Mark Feuerstein’s adult life when he lived in apartment 9K in the building he grew up in, sandwiched between his doting parents’ apartment, 9J, and his brother, sister-in-law and their baby’s apartment, 9L, and his attempts to set boundaries with his intrusive but well-meaning family.” The cast includes Feuerstein, Linda Lavin, Elliott Gould, David Walton, Liza Lapira, and Matt Murray. 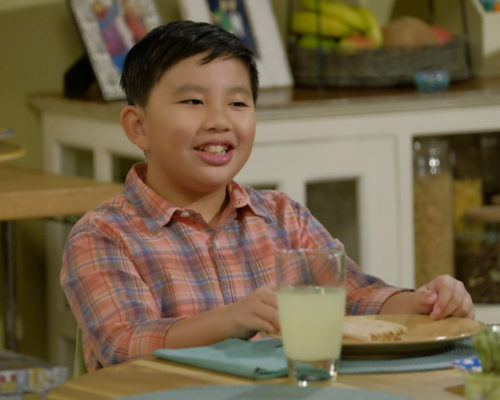 On 9JKL, Tsai will play “Ian, a precocious cinephile who is unimpressed with Josh’s (Feuerstein) TV career.” The new comedy is set to premiere on CBS on October 2nd at 8:30 p.m. ET/PT. What do you think? Do you watch CBS? Will you check out 9JKL? More about: 9JKL, 9JKL: canceled or renewed?, CBS TV shows: canceled or renewed?, Dr Ken, Dr Ken: canceled or renewed? 9JKL: Is the CBS TV Series Cancelled or Renewed for Season Two? Dr. Ken: Season Three; Should the ABC Sitcom Be Cancelled or Renewed? Dr. Ken: Cancel or Renew for Season Two? If David Walton is in it, it will last 3 episodes! Somebody put a curse on that poor guy!!! OK, I give… who IS David Walton?